Andy Beal is globally recognized as one of the top thought leaders in online reputation management. He also happens to be a friend (and an insane ukulele player). We first met years ago at a conference I helped out with in Hawaii. Andy, Sheila (his wife), Natalie (my wife) and I all had breakfast at Hukilau Cafe and the rest is history. Andy and Sheila are the kind of people you just want to always be around. They’ve been an incredible inspiration to Natalie and I.
I’m honored to share with you Andy’s latest book, Repped: 30 Days to a Better Online Reputation (a follow up to his book Radically Transparent). I had the privilege of receiving an advance reader copy. Let me just tell you this: this book will set you up for life. Go google your name. What happens? Do you like what you see? Do online searches represent the authentic you? I’ve talked about the importance of a personal brand before. It’s important to your career and can affect both your professional and personal life. A solid online reputation will serve you everyday of your life. You and your business already have an online reputation (whether you like it or not). Many of us feel like we have no control over our online reputation. That’s simply not true. Why passively leave it up to the search engines to tell your story? 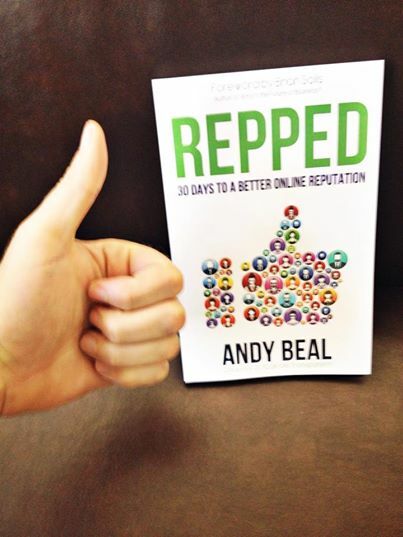 Andy Beal’s book is an incredible, 30-day action plan that can help you build a better online reputation for yourself, your business, brand and/or organization. Every page seems to have practical advice that keeps me jumping back and forth between the book and my computer to put the principles into practice. This book covers everything from “what is online reputation management” to “finding your centers of influence” to “earning trusted reviews” and even “cleaning up the Google mess.” And that’s just the tip of the iceberg. Here’s a little video to help explain more about the book and online reputation management. Go get the Repped and polish up your online reputation in 30 days. P.S. 30% of profits in the first week of sales go to these three charities: The Jimmy V Foundation, The Wounded Warrior Project, and The Raleigh Rescue Mission. 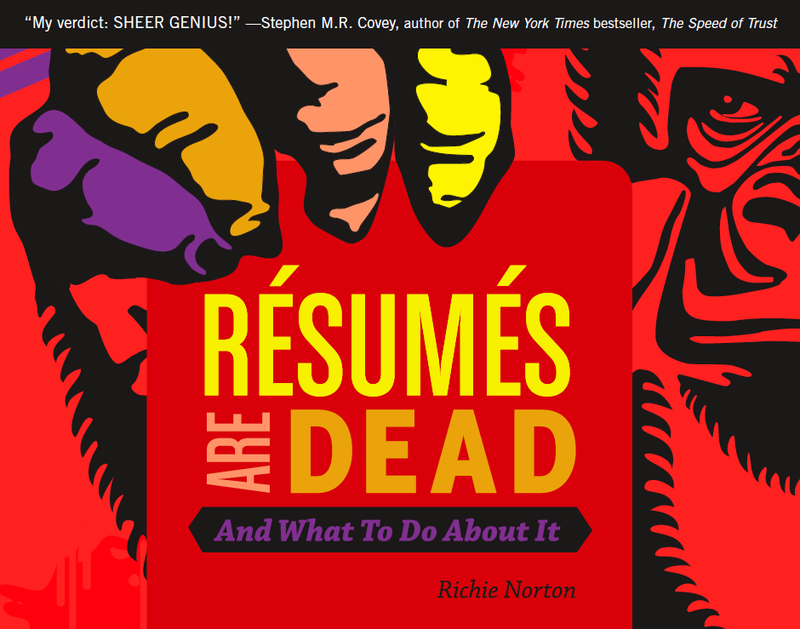 Mahalo for sharing my new book with your readers Richie! Last week my 32 year old son (Jason) found out he has brain cancer. He had a large tumor removed on Friday. He and his wife and three little girls are facing some scary times. Jason and I love to play in the big waves of the North Shore. That is where I met Richie (at Byu-h). My mind went there as I sat in the hospital. When Jason and I started to go to Hawaii to play in the big waves at Wiamae beach, we both got hurt by being pounded on the sand by the breaking waves. Eventually by watching and talking to our Hawaiian friends we learned a few things. 1. Always face the waves, never turn your back on them. 2. Watch the horizon and the rhythm, so you can estimate what is coming. 3. If you get scared because the wave looks too big- run at it and dive into it as hard as you can. The Hawaiians say “when in doubt, paddle out”. 4. You cannot outrun the waves , and if you try it will eat you! Surfing the big waves is a lot like life. Our first instinct when facing something scary or unknown is to run, hide or shut down, but that often is the wrong path. We need to face the ocean, understand its power and our inability to control it. That it can destroy us , unless we face it. And then run toward it and dive through the wave, paddle hard and sail over the crest of the breaker or drop in and ride it. Once you learn to understand your place in the waves, it is not longer scary- but magical and wonderful! creamy blush only on the apples of both your cheeks. for shiny hair to enjoy luxury of healthy and shining hair. site, a ‘game’ that was far easier back then, and it worked.